Leonardo da Vinci is a great iPad app that is free for a limited period. It’s regular price is $15,99. 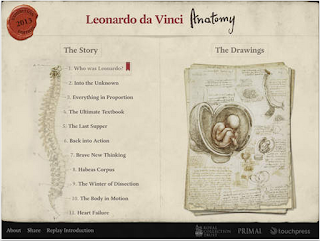 This is basically an interactive book featuring over 200 of Leonardo’s high resolution anatomical drawings. This collection of human anatomy drawings is ‘one of the greatest treasures from the Royal Collection of Her Majesty Queen Elizabeth II at Windsor Castle’. Using this app, students will be able to explore Leonardo’s scientific and artistic genius. 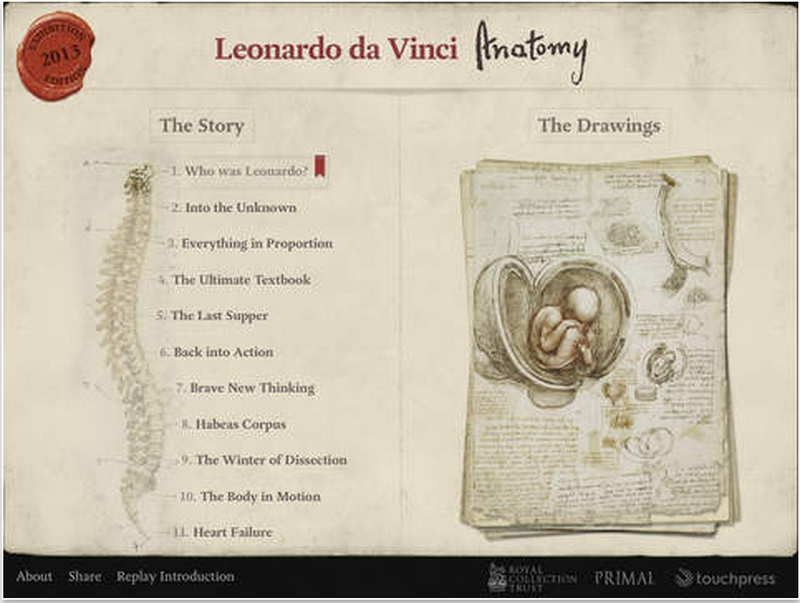 This special edition created specifically for iPad presents Leonardo’s work in an illuminating interactive way with integrated 3D anatomical models from world-leading medical animators, Primal Pictures. Eleven story chapters explaining Leonardo’s anatomical investigations and presenting over 70 selected works with interactive features… and many more.